Finding highly skilled employees can be time consuming and costly. And trying to find a new job can be a frustrating experience. Find out how we can help you with your hiring and job search needs. We understand the importance of employee happiness. Higher employee engagement leads to greater productivity, and workers who feel valued are motivated to make real, tangible contributions to their companies. 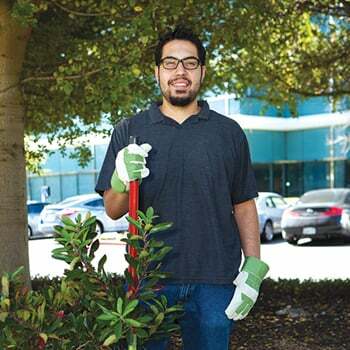 See how we are building a happier workplace, one job at a time. Learn about Robert Half’s history and see how innovation and high ethical standards have taken us from a small operation in 1948 to the world’s largest specialized staffing firm with offices across the globe. Learn more about our philanthropic efforts and our commitment to diversity, education, professional development and environmental stewardship programs. Robert Half has developed relationships with the best professional trade associations. From awards and scholarship contributions to participation in local association chapters, we work to support the professional development of eager professionals and provide job opportunities for members of professional associations. Discover which professional trade organizations we work with and how both employers and job seekers can benefit from these strategic relationships. Robert Half pioneered specialized staffing services in 1948 and today is the industry leader worldwide. Robert Half International is traded on the New York Stock Exchange (symbol: RHI) and is a member of Standard & Poor's S&P 500 index.